This course will walk you through the major components of building GRITS, an HTML5 game. We'll talk about how to take standard game development techniques, and use them to create high performance HTML5 applications. 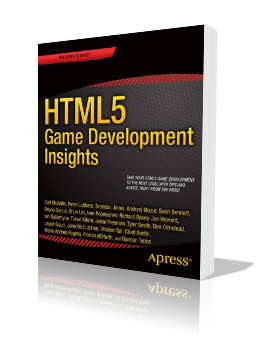 At the end of this course, you'll understand how to develop an HTML5 game. You will gain familiarity with HTML5 features such as 2D canvas and techniques for improving performance. by Gregory is taking this course right now and found the course difficulty to be medium. This course is a perfect example that having smart instructors who are passionate about what they are doing is not enough to make for good instruction or a good class. Udacity's course offerings are generally top notch in quality, but this one seems to be the lemon of the lot. The course is structured around an HTML5 game that the profs created and quizzes are centered around having you fill in bits of code into a skeleton of hundreds of lines of their game code. The video lectures are too brief and don't discuss commands at a pace that allows students to learn what they are doing before taking quizzes expecting them to use those commands. Using an already-made game is a poor instruction decision. Building something from the ground up, piece by piece, over the course of a class is a much better system for learning that doesn't confuse students with tons of lines of unfamiliar code. The profs seem to assume that students should know much more than they actually would having watched the video lectures. Picture a bunch of scientists who are so wrapped up in their own world that they are unable to explain things in terms that a novice can understand. I love Ucadity, but this is one to avoid. Nicholas completed this course and found the course difficulty to be hard.